Bears, those godless killing machines, apparently have a taste for the Jesus-phone. 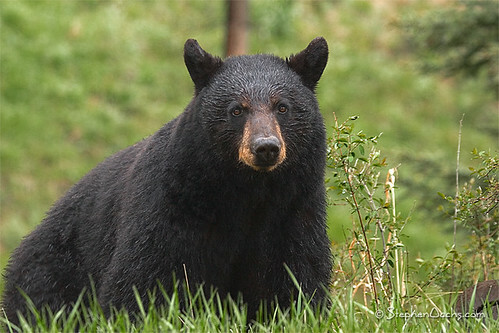 According to CIO.com, a Vermont hiker named Kris Rowley was using her iPhone while on a trail when he was approached by a black bear. Apparently she was using her phone instead of looking ahead on the trail. The phone was destroyed; everyone wondered whether Apple would replace it free (they didn’t). But the real question is: how did she not see a bear coming on the trail? Some luddites might point to our overuse of smartphones, and say that using an iPhone on a hike shows people like Rowley have become too addicted. So are we too dependent? Or was Rowley simply using her device to track her hike (and therefore, not get lost) with an app like AccuTerra? Maybe if our apps went even further than they do — maybe if someone could have seen the same bear and left a geo-tagged tweet there the week before — Rowley wouldn’t have run into the bear at all. Perhaps technology has the potential to be the savior in this instance, not the liability, if only more people were using iPhones and shouting for better apps.